There's only so long a body can exist in a world where she juggles five blogs. Six Blogs. Seven Blogs. Maybe more. Even a blog addict like myself must at some point ask herself the question, is this really working? Last night I cut loose one of my blogs. Undercover Bloggers is a lot of fun, and (I think) a brilliant idea. But I simply have not had the mental space or time to put energy into it to make it all it could be. So I posted last night, asking, "Anybody want to take this blog over?" and got an immediate reply from one of our contributors, Nikki. I suspect Nikki may be a blog addict like myself, but she is keen as mustard, all signed up and now Undercover Bloggers "Editor". She is on the prowl for more contributors. More great stories about your experiences out in the world of service, cafes, you name it. She is the new go-to girl. I am retired. More brutal cuts must come. Kidsclick is close to my heart. It started with a hiss and a roar... and dwindled to just another blog on my dashboard, one more thing to find time to post on. Today the call goes out again... anybody want a great blog, free to a good home? You can make it what you will, give it your flavour. It comes readymade and fully furnished with buttons, a facebook fan page and 62 google followers. Kidsclick needs some blog love and I just don't have the time to do it. I have a cat for goodness' sake?! I also got some advice from the Redhead Riter. Apparently when you click onto my blogger profile the whole nine blogs (er, yes, there are currently nine) show up. And she says, that is confusing. People can't find my main blog. So I found the place in my dashboard where you can select the blogs you want to show up in your profile. Did you know you can do that? Well you can. So now when you click onto my smiling face in your comment box, you will simply see this blog. My main blog. You won't find my hubby's work blog on my profile. Not KidsClick or Undercover Bloggers. You won't even find My Sporty Life or AbfabBlab there. My Kids Party Invitation website (hosted on a blog platform, where BTW you can download and print my kids party invites for FREE)... that's not on my profile either. My private blog will remain. That place is a golden place for me. A Safe Place in the Storm, I've called it. I have invited in other women who share this rambling road through depression. That one's a keeper. So now that I am getting my blog addiction under control... simplifying... streamlining... I have time to do other stuff... like Be Parent help on School Trips. 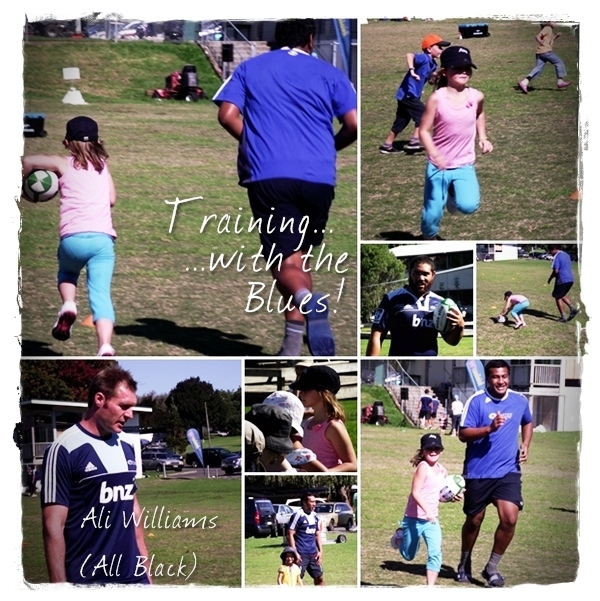 Parent Help where I get to Meet the Blues. 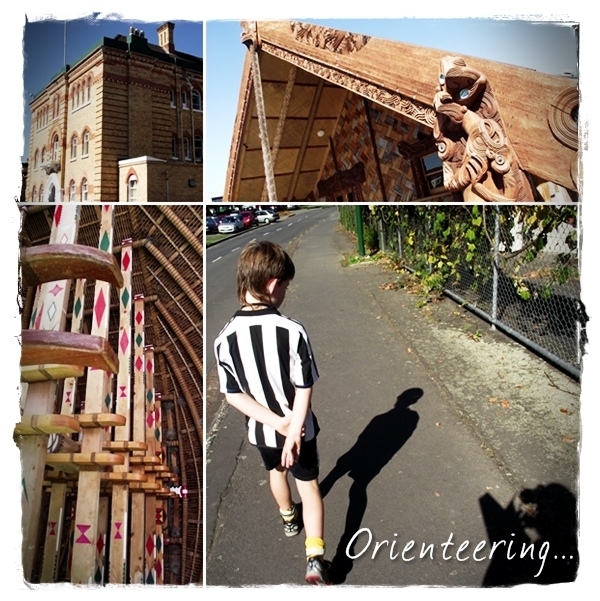 Do an Orienteering Scavenger Hunt around Unitec. Hang out with my kids' friends... and my neighbours. Fun times. Great photo ops. How's your blogging addiction going? Totally hear ya. I was wondering when you would break. lol. Sorry about kid's click. I had ambitions of being more actively engaged with it, but it involved my son who seems to have his own agenda these days. Sigh. I'm proud of you though for knowing when you needed to step back. I have recently done this as well. I miss some of it, but I know it was the right thing. Good luck!! Bravo! You know that I have been there too and gee I feel liberated right now! I have actually found time now to play with my addiction...Pinterest! Life is fun! Enjoy this extra time with your sweet family. 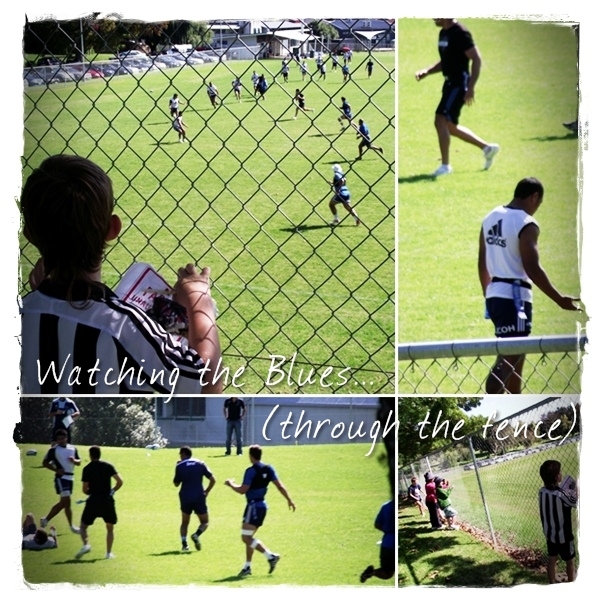 How cool is seeing the the blues train...well maybe just Ali. Good for you, I had to do that a year or so ago with some groups I was involved in... popped back in recently and realised I had moved on so far that they no longer interested me. It surprised me just how far I had come, as been involved - well, it would have been ten years this year! Popped in from SITS! Sometimes, you need to simplify in life. As a creative person, it's easy to overextend yourself and get overwhelmed! Stopping by from SITS. Good job! Simplifying is so hard sometimes! Sounds very wise. Earlier this year I consolidated two blogs to simplify and it made a world of difference. I hope you find yourself more productive and creative than ever by pouring your ideas and energy into one great online home. I've only been a one-blog girl, so I can't imagine trying to juggle seven ... or even two! smiling right back at you lovely lady! Kidsclick is now gone. I am now two blogs lighter. Phew.